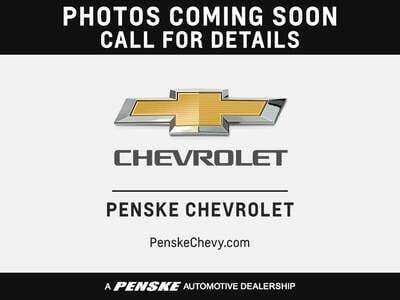 Penske Chevrolet 3210 E. 96Th Street Indianapolis, IN 46240 Nav System, Heated/Cooled Leather Seats, Chrome Wheels, Bed Liner, Heated Rear Seat, Rear Air, 4x4, ENGINE, 6.2L ECOTEC3 V8, TRANSMISSION, 10-SPEED AUTOMATIC, ELE... AUDIO SYSTEM, CHEVROLET INFOTAINMENT.. ASSIST STEPS, POWER-RETRACTABLE, RUNN... TECHNOLOGY PACKAGE, Hitch, AUDIO SYSTEM, CHEVROLET INFOTAINMENT 3 PREMIUM SYSTEM WITH CONNECTED NAVIGATION, LPO, ALL-WEATHER FLOOR LINERS. FUEL EFFICIENT 20 MPG Hwy/16 MPG City! High Country trim, IRIDESCENT PEARL TRICOAT exterior and JET BLACK interior. READ MORE! Leather Seats, 4x4, Rear Air, Heated Driver Seat, Heated Rear Seat, Cooled Driver Seat, Premium Sound System, Satellite Radio, Onboard Communications System, Trailer Hitch, Chrome Wheels, Remote Engine Start, Dual Zone A/C, WiFi Hotspot, Cross-Traffic Alert. Privacy Glass, Keyless Entry, Steering Wheel Controls, Electronic Stability Control, Alarm.